The McCreary County Extension Service and the Big South Fork Beekeepers will be hosting an Introduction to Beekeeping Program on Monday October 23rd at 6:30 at the McCreary County Extension Office. The program will cover the beginning basics of beekeeping and is designed for those people who are thinking about venturing into beekeeping. 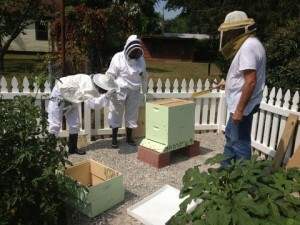 Anyone who is thinking about starting beekeeping should attend to become better informed before taking the plunge. Now is the time to be making that decision so you can get prepared for the Spring 2018 beekeeping season. The McCreary County Extension Service Office is located in the McCreary Center of Somerset Community College. There is no fee for the program. For more information contact the McCreary County Extension Office at 376-2524 or Greg Whitis at gwhiits@uky.edu.